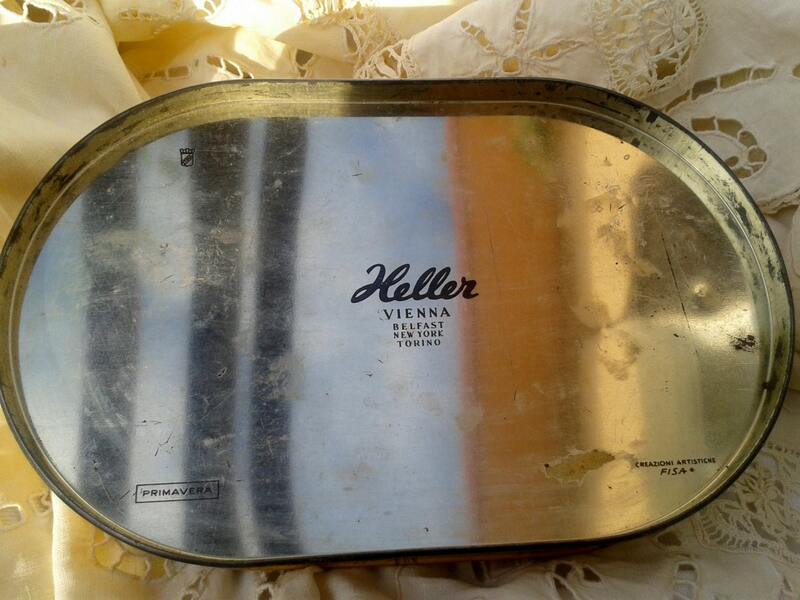 Gorgeous Decor Signed FIZA for this Italian candy box from Heller, Vienna, Belfast, New York, Torino. 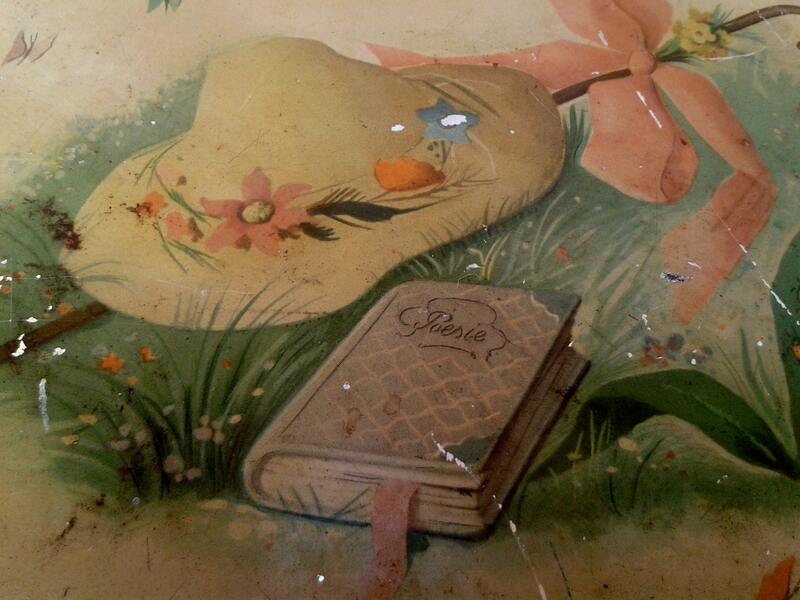 Primavera, " Creazioni Artistiche - FIZA " back stamped . 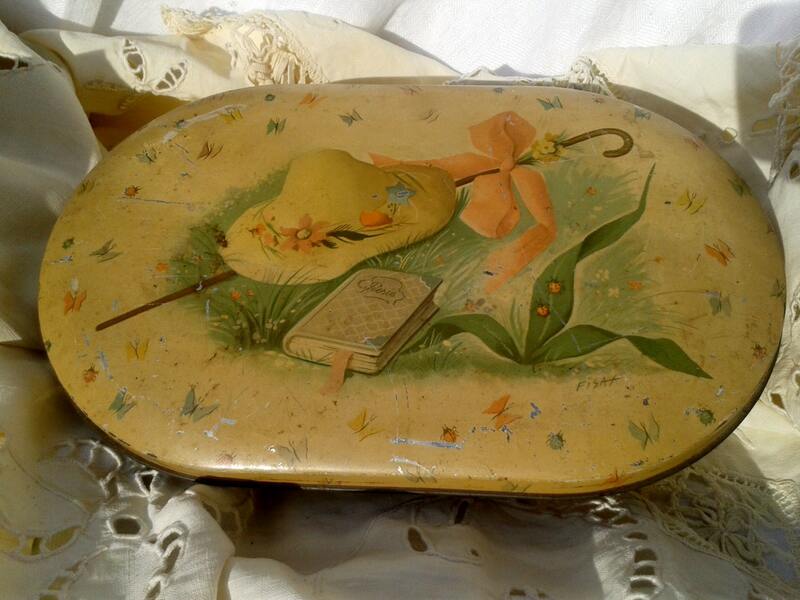 Tin box signed with a beautiful decor Marie Antoinette Shepherd Style, floral hat , walking stick with a bow. Size : 9 X 5.5 in. Tall : 1,7 in. 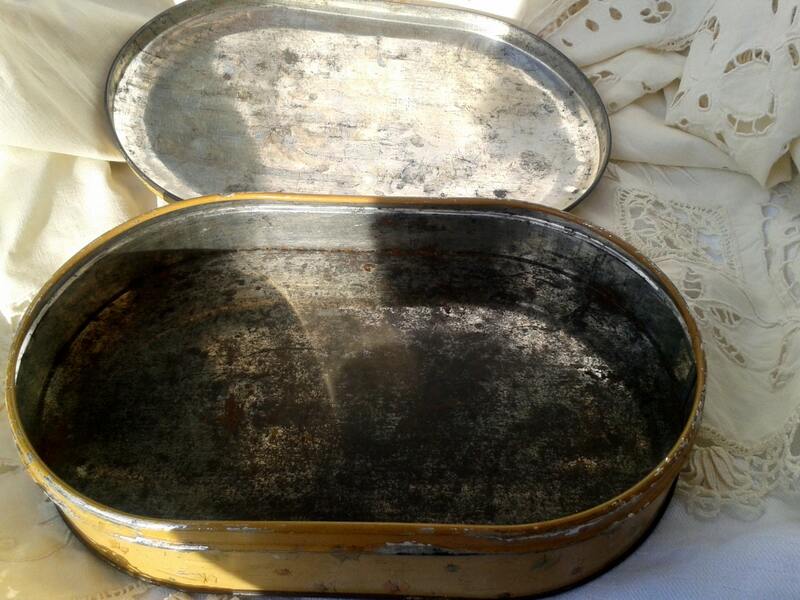 Vintage box from the 1950's. 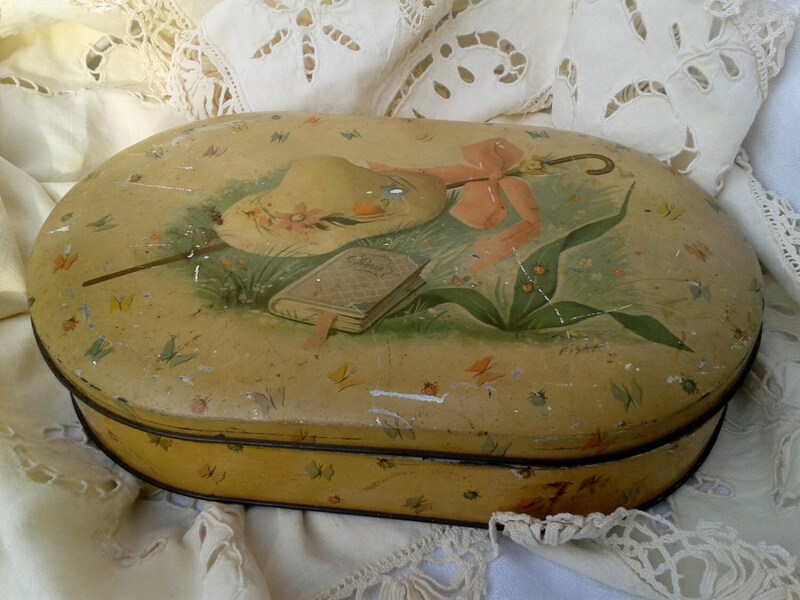 Beautiful Mid -Century Box with a Marie Antoinette Retro Decor !